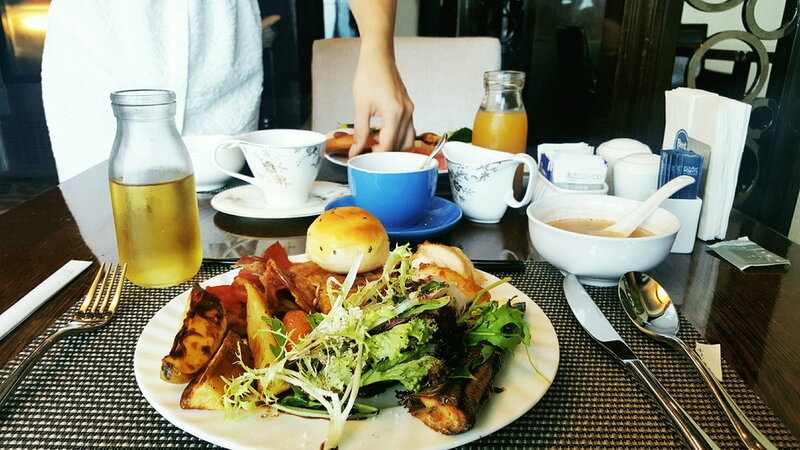 Breakfast was the most important meal on my press trip to China last year. It was the only meal we had any control over. We spent the days visiting landmarks and popping into various restaurants for extremely lengthy, multi-course meals. Tables filled with various noodles, brothy soups and bony fish for dinner were a huge contrast from the meat based breakfasts in the hotel. I loaded up on ham, bacon, fish and beef before heading out each day, in case we didn't find much out in the city. There's no orange chicken or shrimp fried rice in China.